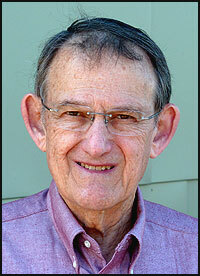 MILLARD SUSMAN is a retired Professor of Genetics. He received his Ph.D. degree from Caltech, did postdoctoral work for one year in London, England, and then moved to Madison in 1962. He and his wife, Barbara, already had two sons, Michael and David, when they arrived in Madison and moved into University Houses. Millard did research on the genetics of a virus that infects E. coli bacteria, and he taught both graduate and under- graduate courses until he retired in 2002. He is especially proud that he was a member of the team that developed the Biology Core Curriculum, a four-semester series of introductory biology courses for majors in the life sciences. He served as Chair of the Laboratory of Genetics for 14 years, Associate Dean of the Medical School for 9 years, Acting Dean of the School of Allied Health Professions for 2 years, Director of the Center for Biology Education for 7 years, and helped, after retirement, to establish the new Institute for Cross-College Biology Education. Millard is now active in the Wisconsin Academy of Sciences, Arts & Letters and the UW-Madison Retirement Association. Millard and Barbara enjoy the Madison Symphony Orchestra, the Madison Opera, the Union Theater Concert series, and various other cultural activities. They spend as much time as possible with their 5 grandchildren and their great granddaughter. And, they have traveled since retirement to various lovely places: Greece, Mexico, the Grand Canyon, Yellowstone National Park, Quebec, and the Galapagos Islands.